I’m here in San Francisco at PuppetConf, a special thanks to Trevor Pott who provided me with a pass to the expo. I’ve had very limited exposure to Puppet, and the other orchestration/config management platforms. For those of us who do not live in the day-to-day world of DevOps at scale, tools like Puppet or Chef can seem a tad bit alien as well as daunting. For the uninitiated like myself, the world of Puppet can seem a bit overwhelming, especially when it comes to the ecosystem that is involved. I think the initial confusion lies in how internal code, modules, and deployment functions are handled. Thankfully Puppet Labs has some great online tools and documentation. That said, the Puppet community is robust, mature, and have a passionate and vocal user base. Questions from the sessions I’ve attended have been great from a standpoint of give and take between the presenters and the end users, especially around the topic of scalability and deployment practices. The Puppet Labs engineers and staff on site are fully engaged and available for side discussions as well which I find to be helpful for someone like myself who is just starting to investigate this space. 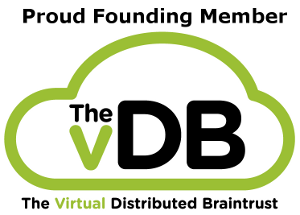 Though my plate has been overflowing with work at SimpliVity with VMworld starting this coming Sunday and the new product announcements that came out, I have slated some time to start working with the Puppet Training VM, and wrapping my head around the processes involved to be better informed. As for VMworld 2013, my plate is fully booked. If you have time, swing by our booth and I can give you a personal demo and overview. 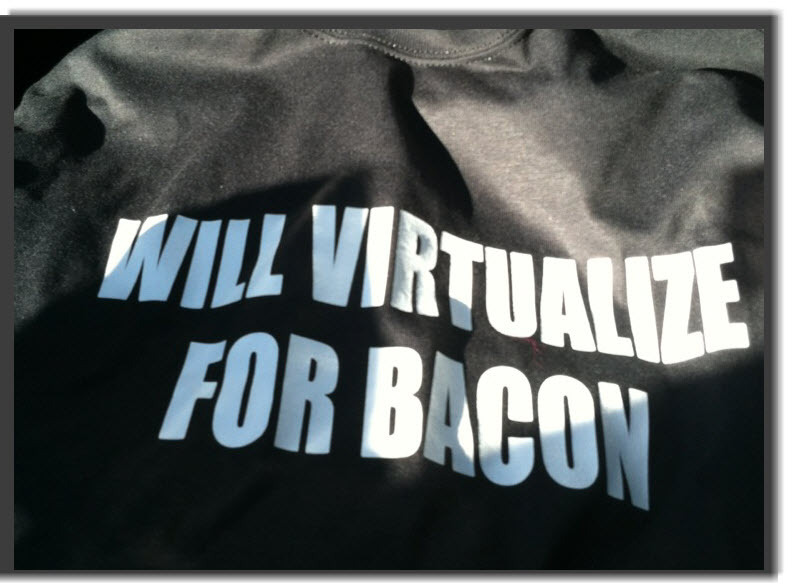 Oh and for those who have asked about the “Will Virtualize For Bacon” shirt. I will have a set of links for an online store coming soon.